I am really good at feeding my body! It takes little effort and I can do it without thinking. Food is everywhere and so many choices! I just grab and go! The problem though is that I can easily eat way too much of the wrong things. Food full of “junk” is just empty calories that don’t nourish my body. 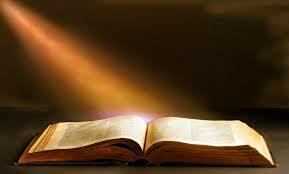 Treasure the words of His mouth more than your necessary food (see Job 23: 12). I choose to feed on God’s Word every day because it is the truth and gives me strength to live life and to live it more abundantly. I choose to meditate on God’s Word and be in relationship with the Lord through prayer (communication) because it brings peace and joy. My circumstances are not always peaceful nor are they always joyous, but my spirit can be! When the Spirit of God leads my life I am neither bound up nor controlled by my body and soul. They actually will fall into line behind my spirit. Oh yes, they put up a good fight! In fact they frequently try to lead my life and regain supremacy. But thanks be to God who gives us victory as we daily pursue following Jesus and being conformed to His image. When my spirit is well fed and nourished, the other areas actually don’t get so “hungry” but when they do, I can exercise the fruit of the Spirit (love, joy, peace, patience, kindness, goodness, faithfulness, gentleness and self-control) because those that belong to Christ Jesus crucify the flesh with its passions and desires (Galatians 5: 22-24). What you feed leads! So feed your spirit! Why not leave winter behind and spring into all God has for you by coming to the Spring Women of the Word Conference April 10 – 12? Your spirit will definitely get fed! We welcome you in the name of the Lord. Invite your friends too. Posted on March 29, 2015 Categories Uncategorized3 Comments on What you feed leads! A physical therapist told me that the key to health and body strength is to have a strong core. The core, the part of the body between shoulders and legs must be kept strong for the organs of life reside in the core. You have a spiritual core. Your core is what you really do believe. The core is not evident in the good times of life. Tribulation and trouble reveal your core. Your spiritual core should be your commitment to God’s truth. The word of God is truth. God always tells the truth because He cannot lie. The trouble with truth is that life gets in the way. Tribulation occurs, and life seemingly is not going to work. Life is not going according to your “playbook.” If this happens you must have a core of commitment to truth, not to the tribulation you are experiencing. A core of commitment means that it is inconceivable to your thinking that God’s word will fail, that God would have told you a lie, or that God would fail you. God will never betray you or let you down. His word cannot fail. That core must be in you when trouble comes. So build the strength of truth in your core and entrust your life to God. The apostle Paul wrote about his core belief: “I know whom I have believed and am persuaded that He is able to keep that which I have committed unto Him against that day” (II Timothy 1:12). Know whom you have believed. Be persuaded that He is keeping you, and things will work out exactly as He has already told you they would. That core will hold you steady during the rough times of life. Worked for the apostle Paul. Works for me. It will work for you. June Evans is Pastoral Advisor to Women of the Word and will be speaking at the Spring WOW “Grace and Truth” conference April 10 – 12. Join us there to strengthen your spiritual core! Registration information. It is an awesome thing the LORD will do with you! We can all agree that it has been a very long, cold and hard winter in many parts of the US. Today is the official start of spring on the calendar – March 20th! Yet, we see little evidence of it, especially here in the Northeast where there is still snow on the ground and the forecast says more is coming later today. However, there have been a few days above freezing and with that a lot of snow did melt. Last week something appeared in my backyard as the snow melted. Part of it is still covered by snow but right now it is a “cross”. 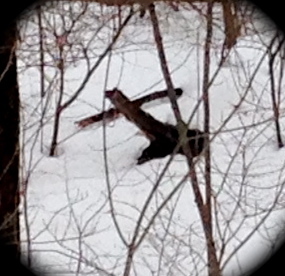 It is up an embankment across from a stream but I spotted it as I looked out my kitchen window. What are you saying LORD? You are always with me? You will never leave me nor forsake me? You indwell me? You are thinking of me? You are protecting our land, home and family? All of this is true – amen! But, I sensed there was a deeper meaning and so I have been pondering over it. Under the blanket of snow I could not see that cross. It only appeared when melting began. So it is with the formation of the LORD’s character in us. As the ice and hardness of our hearts melts in the warmth of HIS presence, the hidden man of the heart, CHRIST JESUS, begins to emerge. As we take our stuff, attitudes, and self-life to the cross we begin to change, conform, and reflect HIS image. Hallelujah! Years ago Bette Midler sang a song that had some lyrics along these lines – Just remember in the winter, far beneath the bitter snow, lies the seed that with the sun’s love in the spring becomes a rose. We have a seed within us – a spirit – that with the SON’s love becomes more than a rose! It becomes the reflection of the life of Christ! It is an indestructible life – Praise God! Yes, this earthly life has difficulties, temptations, struggles and many disappointments. I am not minimizing the pain of loss, nor the hurts experienced in this life. We all face them in various degrees and at various times. But, HIS life in me causes me to become an overcomer, just like Jesus! My job is to submit and be patient in the process. He is doing a work in me and through me even when I can’t see it. And, HE is doing it in and through YOU also! It is an awesome work!! And others will see it and give HIM praise! His WORD tells us so! Raise your level of expectation! Join me and hundreds of women at the Spring WOW April 10 – 12 in Portland, Maine. Together we will experience the beginnings of all the awesome things God will do with us! God is desirous of sharing Himself with you! Let’s hear HIS invitation and come! There will be uplifting praise and worship, powerful teaching and ministry, prayer, fellowship, laughter, and probably some tears too. Tears are cleansing so they are good and God sees every one! I can’t wait to welcome you and see you there! Register today. Join in our Conference Call with Dr. Lynn Lucas on Monday March 23 at 8 pm Eastern Time and be inspired as she shares about the awesome things God will do with you and Women of the Word. Posted on March 20, 2015 Categories UncategorizedLeave a comment on It is an awesome thing the LORD will do with you! Life is made up of little moments of time. As the moments of our lives accumulate they become days, weeks, months, years – and all too soon we look back upon a whole life-time of significant and often seemingly insignificant moments. In our quest for corporate revival it is essential to cultivate a moment by moment savoring of His Presence wherever and whatever we are doing. We learn to enjoy His gift of grace and love continuously by frequently lifting up our hearts in praise and thanksgiving. His revival Presence will always come to hearts overflowing with gratitude, worship and praise – whether we are in the home, the mall, at work, or in our cars he loves to hear our words of love and appreciation. Even in the midst of the many challenges and trials of daily life there is much beauty waiting to be discovered all around us. Choosing to take time to appreciate the beauty of creation, of good music, of an inspiring book, of a well set table, or a thoughtfully prepared meal shared with family and friends brings to our lives an enrichment that invites His Presence into our “ordinary” moments. Too often we waste the moments of our lives by regretting the past, living in the successes of the past, or by always living for the future. 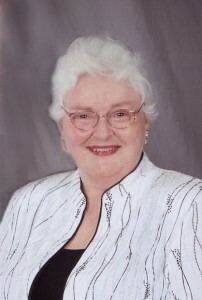 As a young woman I was once told by a godly elder “Don’t wish your life away.” It was counsel I have never forgotten. Enjoying His abiding manifest Presence is for us now! Looking back over forty-eight years of walking with the Lord there are many times a smile of deep gratitude comes to both my heart and face as I recount His great faithfulness. A deep sense of contentment fills my soul as I continue to savor His amazing grace and lavish love. Daily His Word is a delight to my soul. And if, through the much activity of life, I fail to have an extended time of quiet fellowship and personal communion with the Love of my soul, I soon become very lonely for my most cherished and faithful Friend. I long for His Presence in the ordinary moments of my daily life. Even as we corporately await expectantly the greater moving of His Spirit in national revival, let us fill our daily lives with the beauty of His Presence permeating everything we say, do, and are! Let’s together as His Church celebrate the awesome promise of Psalm 37:4: “Delight yourself in the Lord and He will give you the desires of your heart. Listen to Dotty’s Podcast on The Joy of Discovery entitled Understanding the Times. She is a beloved speaker at Women of the Word. Along with her husband, Pastor Charles Schmitt they are the founding pastors of Immanuel’s Church, and travel extensively internationally ministering to God’s people. I’m celebrating another birthday. My, my, these birthdays come around quickly, or else time is speeding up. The good thing about me is that I have gained the victory over aging. I have learned that growing older is a part of living. So rather than be depressed and sad about aging I celebrate what is behind and look forward to what is ahead. Every year of my life has been a step up the ladder of God’s high calling, and when God is in charge of the steps life is full of His wonderful works. I know many of you will be wishing me “happy birthday,” and I appreciate your good wishes. However, I want to celebrate my birthday by giving God a “thank you and praise you” for all He has done with this woman. I gave myself to Him as a teenager when I was born again. Looking back I hardly recognize myself. I had no concept of the woman God would cause me to be. Doing what I do for Him today was not even in my thinking as a teenager. It is amazing to me how God can take a teenage girl, change her from glory to glory, and fit her for His use. time and step up higher on the ladder of God’s high calling. Did I ever mention that I have a granddaughter named Madison? I know, I know – only 10,000 times! Madison is almost ten years old and brings such joy and laughter to us. Michael, our son, was in the Ph.D. program at the University of Wisconsin, so Madison spent the first three years of her life in Madison, WI. While in Wisconsin, Michael’s family lived in a small two-bedroom apartment with one tiny bathroom. When Madison would visit us, she would run around my house, or she would follow me from room to room. One day she looked at me and said, “You have a big house!” Actually, Gaylon and I don’t have a big house at all. Madison’s comment was based on her perspective of what she was experiencing in her life at that time. Let’s fast forward to Madison’s third birthday which she spent with us in Alabama. They were actually moving to Baton Rouge, LA, where Michael took a position as an assistant professor at LSU. We went with them to Baton Rouge to move into their brand new home. It was a nice, two-story home with two and one-half baths. It was so much fun to watch Madison run around in the large empty rooms! After we finished the move, Gaylon and I headed back to Alabama. Several months later, Madison was visiting us again and following me around my house. She said, “Granny, your house is kind of small.” She made me laugh out loud. She was again basing the size of my house on her perspective of how she was experiencing life at the time. Have you ever felt as if life was like an oven turned up to 500 degrees and you were inside? In times of great testing, it may seem as if God has gone on vacation without leaving a telephone number where you can reach Him. The thing I have to guard against is judging everything by what I am experiencing at the moment. It seems as though I am either basking in the sweetness of God’s grace or sweating on the hot seat of challenging circumstances. Life seems to bounce between the two. How about for you? God is always at work in our lives – ALWAYS. We see the beginning, while He sees the beginning and the end. He sees the completed puzzle, whereas we see a stack of puzzle pieces lying all over the place, not knowing where each piece is supposed to fit. Our lives at times seem like the underside of a tapestry. There are lots of threads that have no rhyme or reason, colors running together, chaos. When the tapestry is turned over one can see that every thread had a purpose in completing the picture. 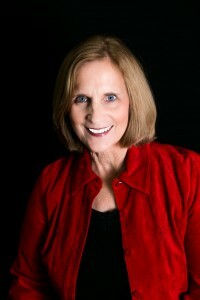 Barbara Benton is a speaker for Women of the Word. Thank you Barbara for sharing your blog with us. 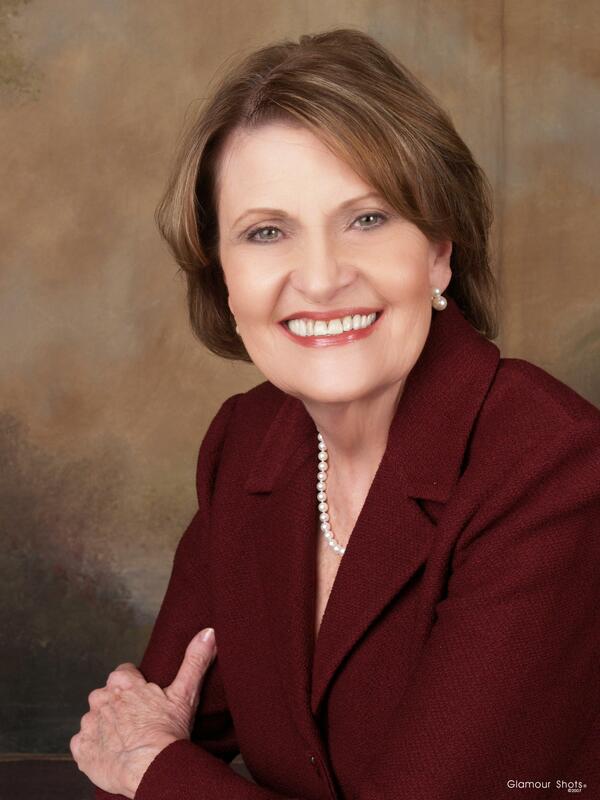 Join us at the Spring WOW April 10 – 12 to hear her teach and minister in person. She is powerful and you will be blessed! Don’t miss the early bird deadline of March 20 to save some money. Register today! 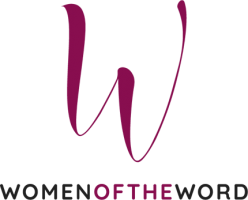 Women of the Word is dedicating to transforming women into Christ’s image through the teaching of His Word and the empowerment of the Holy Spirit. WOW offers inter-denominational, inter-generational, and inter-cultural events in the form of conferences, retreats, and one-day seminars. Our speakers are anointed and teach life application of biblical truths in relevant ways. You may laugh and you may cry, but your heart will be touched as God speaks to you. Isaiah 54 is our theme scripture. Many women experience barrenness at various times in their life. 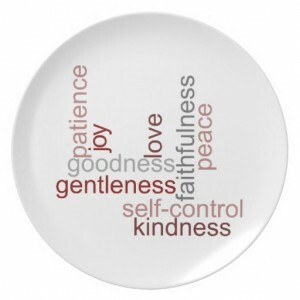 This barrenness may be physical, but it can also be spiritual and emotional. God wants to teach us that when we live life according to His Word, He will water these barren places and cause them to become fruitful. He has purpose for us and we can learn to sing even in barren places. God’s purpose for us is that we become transformed into the image of His Son and then reflect that image to the world. He wants to use each of us – at home, in the workplace, in the community, in the marketplace, and in the church. He tells us to enlarge the place of our habitation (dwelling place) and to stretch out and not hold back. He is for us!! God wants us to affect the next generation. Our walk with Him is not just about us. It is also about our descendants. God has a plan for them too! He promises to teach them and to give them great peace. They will possess nations! Women, let’s be such lovers of Jesus that the next generations will see the Word made flesh in us and run after Him. Let’s live out what the Bible teaches. This brings blessing to us and to our children and their children. God encourages us to “fear not”! He is our husband and our Redeemer. Whatever shame may be in our past will be forgotten. Perhaps we looked for love in all the wrong places. We thought that our job, our marriage, our children, or our ministry would complete us. God shows us that we are only complete in Christ! God has compassion on us with an everlasting love. He has called us! We have a future as we yield our lives to Him and set our hearts on following Him. He is in covenant relationship with us and His steadfast love will not depart no matter what! What a promise! We will be blessed and we can also be a blessing! Join us at WOW and bring your friends. It’s about relationship with Jesus and relationship with one another. God bless you ! Posted on March 12, 2015 March 12, 2015 Categories UncategorizedLeave a comment on Why WOW?